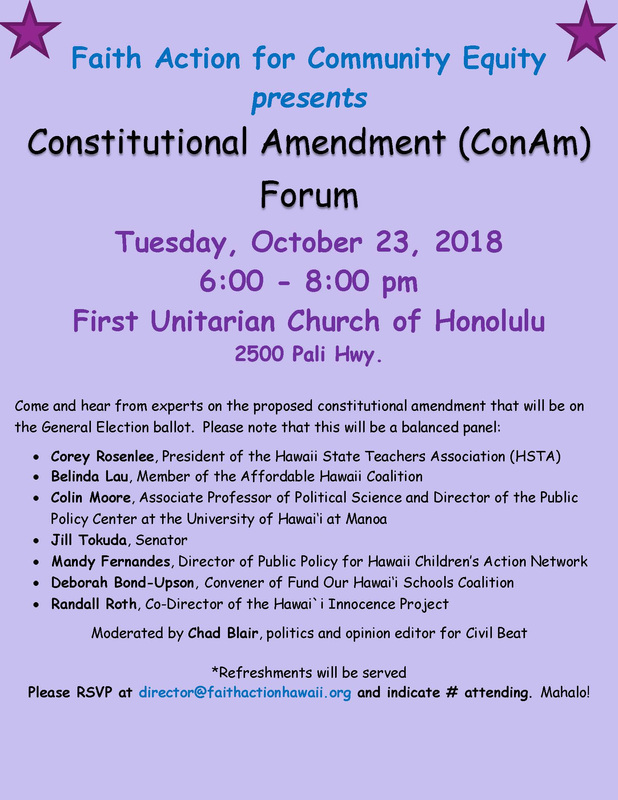 Archived: Faith Action: 2 new panelists for Constitutional Amendment Forum NEXT Tuesday 10/23, Logo Contest and NEW website and Twitter account! We added 2 more panelists! 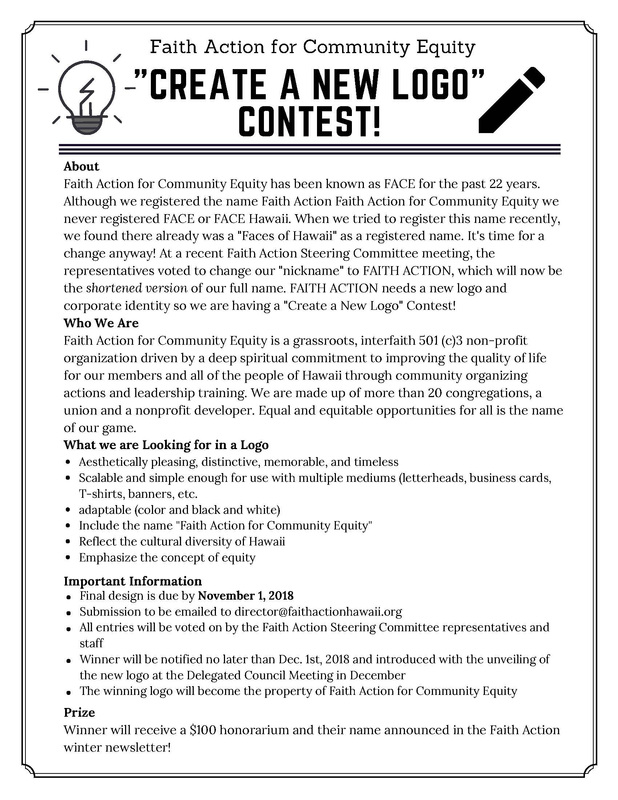 Please don’t forget to RSVP at director@faithactionhawaii.org with number attending! 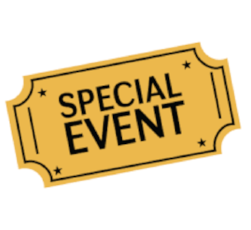 *Less than 2 weeks left to submit a new logo! Please spread the word to your artistic/creative friends and family!